"What makes America exceptional isn't just the size of our economy or our influence around the globe. [It's] the promise we make to our children; the idea that no matter who they are, what they look like, where they start, how much their parents earn, they can make it if they try. It’s the essential promise of America -- that where you start should not and will not determine how far you can go." On Wednesday, December 10, President Obama hosted a White House Summit on Early Care and Education. At the event, President Obama announced new federal and private sector investments in early childhood totaling $1 billion. "This issue is bigger than politics," President Obama said. "It’s an American issue." 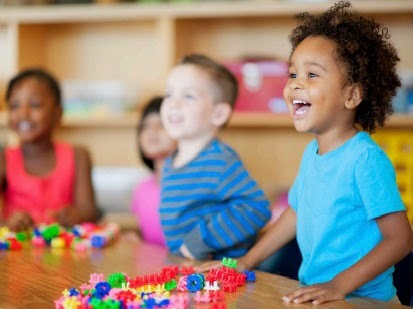 The Obama administration will be investing $750 million from federal resources to early care and education, which includes $226 million to eighteen states under the Preschool Development Grants program. 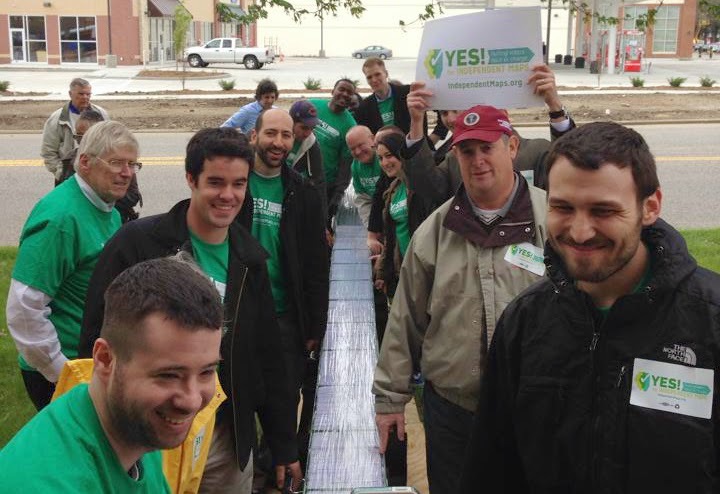 As one of the winning states, Illinois will receive a $20 million grant in 2014, renewable for three additional years. In addition to these federal investments, corporate and philanthropic organizations from across the nation will devote over $330 million in new funding. The Robert R. McCormick Foundation, the Joyce Foundation, the Grand Victoria Foundation and the Irving Harris Foundation are coming together to invest at least $7 million in new funds to better our children’s early learning experiences. The McCormick Foundation has committed approximately $2 million in new investments to leverage federal investments in 2015. 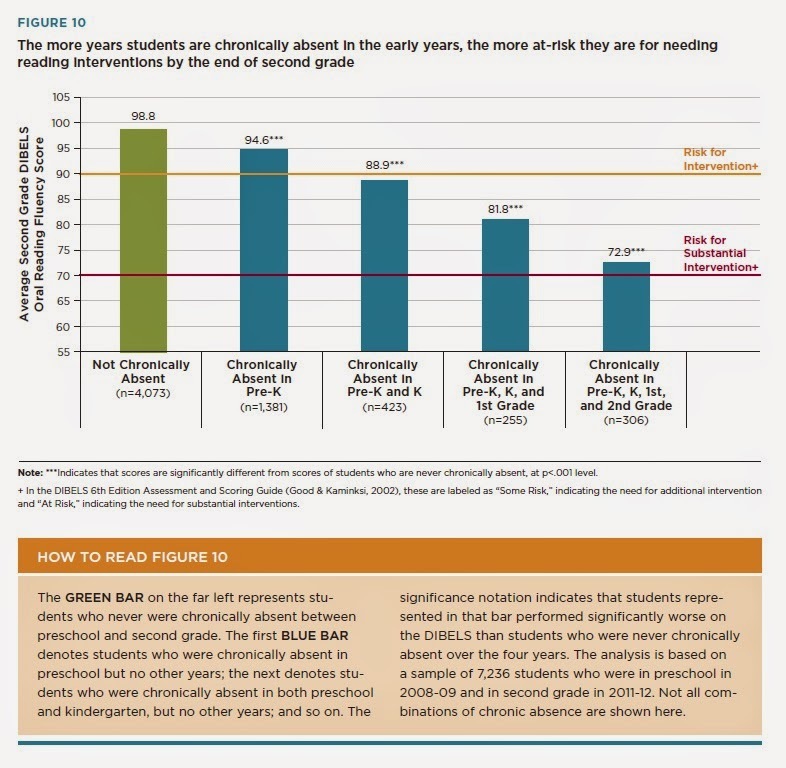 There is widespread consensus that investing in high-quality early care and education yields one of the highest returns on investment we can make. That is one of the reasons this issue has enjoyed bi-partisan support for State investments in an early childhood system that values high-quality services for pregnant women and children from birth to age eight and their families. A national survey conducted by the First Five Years Fund showed that 71% of voters – including 60% of Republicans – support increased federal investments in early care and education. Effectively leveraging public dollars to expand high-quality, comprehensive early learning programs and services will result in the highest quality care and services for the country’s most vulnerable families. Together, we can ensure that all children, especially those at most risk, have access to high-quality, comprehensive early childhood programs that support their families and prepare them for success in school and in life. The Paul Simon Public Policy Institute (PSPPI) conducted its annual statewide poll from September 23 through October 15, 2014. 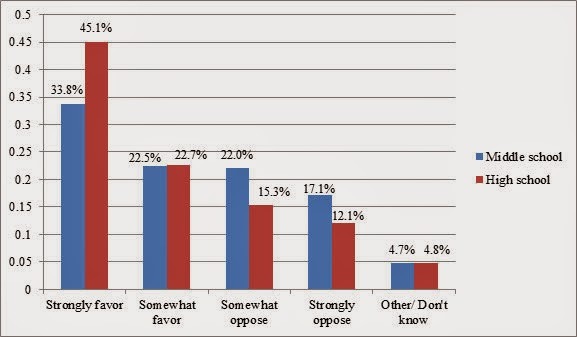 The poll included three questions pertaining to civic education which mirror recommendations of the Illinois Task Force on Civic Education that would require legislative action by the Illinois General Assembly. They encompass a required civics or government course for high school graduation, along with student service projects in both middle and high school. Based on a poll of 1,006 registered voters across Illinois, and with a margin of error of plus or minus three-percent, PSPPI found broad support for these recommended civic education requirements. 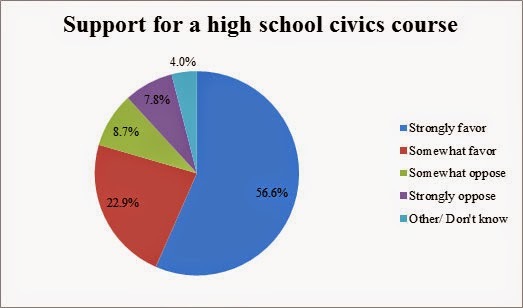 The high school civics course polled best, with more than three-quarters of respondents favoring it strongly (56.6%; see Figure 1) or somewhat (22.9%). Figure 1: Would you favor or oppose a proposal to require all Illinois high school students to take or pass a civics or government course in order to graduate? More than two-thirds of survey respondents strongly (45.1%; see Figure 2) or somewhat (22.7%) favored a required service project for high school graduation. Support fell slightly for a similar requirement at the middle school level (33.8% favored strongly and 22.5% somewhat). Figure 2: Would you favor or oppose a proposal to require all Illinois students to complete a community service project in order to complete middle of high school? As the World Series winds down, we at the McCormick Foundation are proud of our partnership with Major League Baseball to help veterans re-integrate into their communities. Our program, Welcome Back Veterans, was celebrated during the first game of the World Series in Kansas City, and fans at the game and watching on television saw wonderful public service announcements honoring our returning warriors. The partnership between Major League Baseball and the Robert R. McCormick Foundation has generated programs at eight major medical universities that support veterans with post-traumatic stress and brain injuries, the signature wounds of those who recently served in Iraq and Afghanistan. Located in Boston, New York City, Chicago, Atlanta, Los Angeles, North Carolina, and Michigan, these programs reach out to the veteran community and provide treatment for vets and family members. They also provide training opportunities for other service providers so that our warriors facing challenges can become vital members of their communities. It is privilege to work with Major League Baseball and to serve those who have served our country. In time for the observance of the 100th anniversary of World War I, Dr. Jeff Gusky launches a wonderful photo exhibit, The Hidden World of WWI. The exhibit reveals the folk art of World War I soldiers of all nations left in long-forgotten bunkers, fortifications and caves that Gusky has explored. Included are images from an abandoned root cellar at Cantigny, France, that once was occupied by doughboys of the US First Division. Former underground city beneath the trenches. Picardy, France. 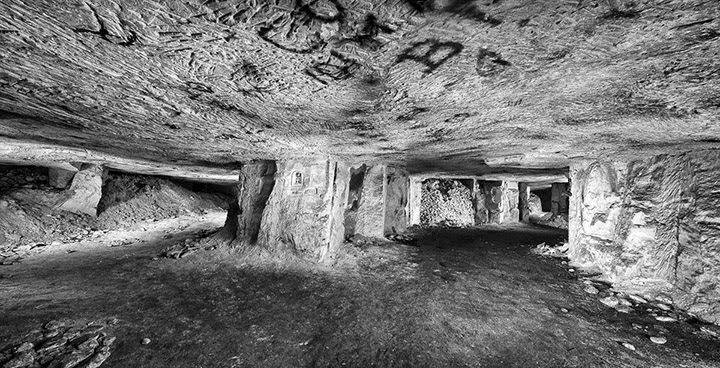 Gusky has discovered simple graffiti by soldiers who recorded their presence and their survival thus far, as well as elaborate evocative sculptures by soldiers who surely spent weeks or months underground. His work is two layers of art – the poignancy of the soldier art itself, and the excellence of his photographic images. 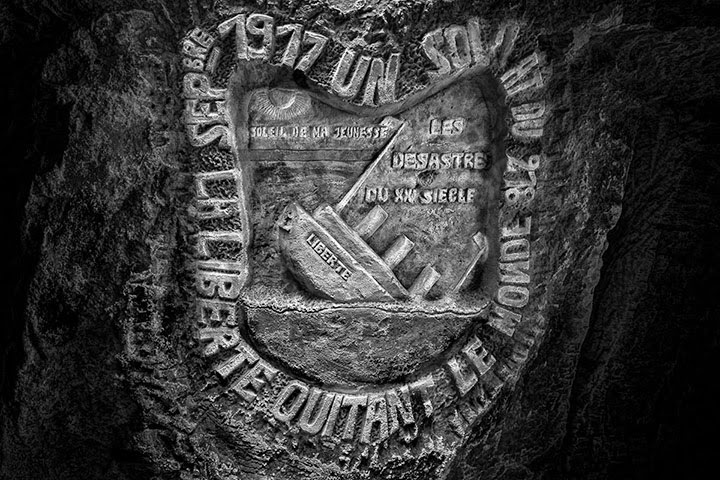 Carving reads 'Liberty leaving the world, September, 1917, a soldier of the 278, the disasters of the 20th Century, the sun of my youth'. Picardy, France. As the First Division Museum at Cantigny begins its observance of this momentous anniversary, this exhibit reminds us of the fundamental humanity of the millions who served on the Western Front. We encourage you to explore The Hidden World of WWI exhibit and remember them. 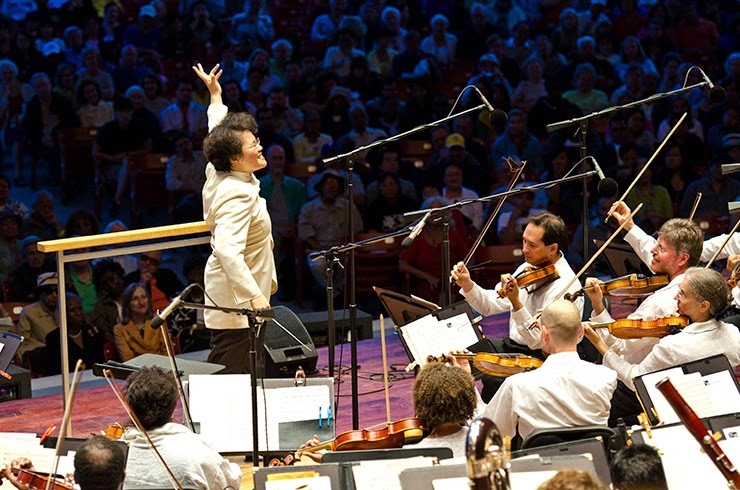 The Sinfonietta is truly innovative, specializing in daring, one-of-a-kind performances. 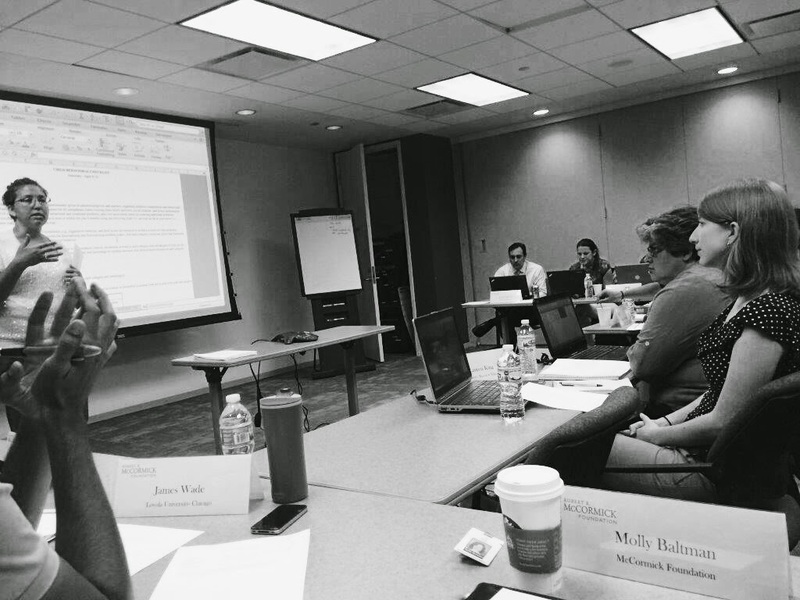 It promotes diversity, inclusion and innovative programming—values that we wholly embrace at Cantigny Park and throughout the McCormick Foundation. Cantigny Park in Wheaton, the former estate of Robert R. McCormick, is pleased to welcome Chicago Sinfonietta on Saturday evening, August 9. The “Ravinia style” concert marks the Sinfonietta’s first visit to Cantigny and the orchestra’s first outdoor performance in the western suburbs. Click here to learn more about this special performance and to purchase tickets. More than 1,100 families lost their homes in Washington, IL alone when mammoth tornadoes struck Central Illinois on November 17. The next morning, representatives of nearly 100 different groups – corporations, nonprofits and churches – gathered to react as one. This was by far the single largest natural disaster the area had ever seen but the communities were fortunate in that few people were home that morning. Only three lives were lost, though that is still too many. Everyone from carpenters to musicians (i.e. Styx and REO Speedwagon) to the Chicago Bears volunteered to help, laying the groundwork for a unified response. 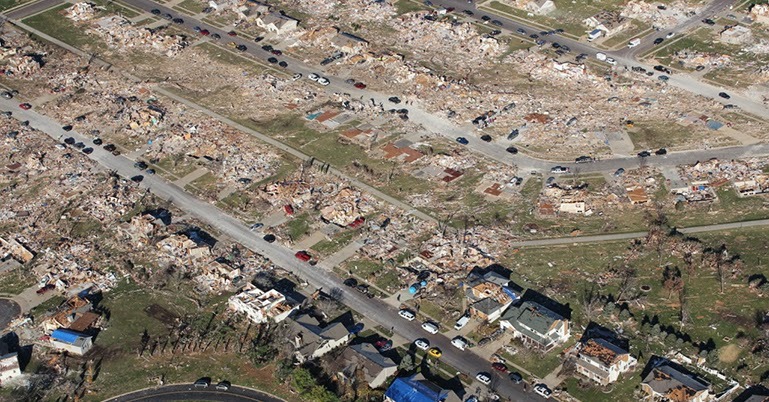 The last nine months have been challenging for the communities impacted by the storms. While Washington sustained the most damage, two other neighboring communities were impacted as well – East Peoria and Pekin. Serving the specific needs of each community proved to be the greatest hurdle. 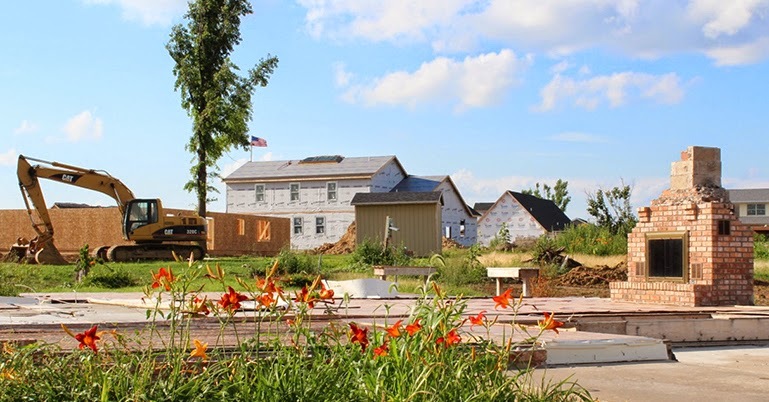 Thanks to the Illinois Tornado Relief Effort that helped raise money for the affected communities, the Peoria Area Community Foundation was able to form the Tri-County Long Term Recovery (LTR) committee. The committee was created to ensure relief and recovery was a seamless operation for those impacted as well as for volunteers. We are excited to announce that the Long Term Recovery Center will be opening its doors on July 18 to assist residents and provide information regarding recovery efforts. In addition, the facility is centrally located and can be easily accessed by surrounding areas. The 3,000-square-foot office has ample space for caseworkers and clients. “The Long Term Recovery Center is a much needed asset to Central Illinois since we are just beginning to see some of those deeper needs of the communities,” said LTR chairman Jim Fassino. As you may have heard, the Yes! For Independent Maps initiative will not be moving forward for the November 4 ballot. This is very disappointing to the thousands of citizens across the political spectrum in Illinois who were united in supporting redistricting reform. These citizens recognized the need to take the district maps out of the hands of the political insiders, and turn the job over to an independent commission. The importance of this reform is demonstrated by the aggressive attacks on it made by the political forces entrenched by the current system. If citizens win, they lose. Another lesson is that Illinois is ready for reform. Hundreds of thousands of Illinoisans supported the reform effort, and polls indicated overwhelming voter support had the initiative been allowed on the ballot. The grounds Judge Mary Mikva cited in her legal decision for keeping the initiative off the ballot are technical, but give hope that a revised proposal could pass constitutional muster. There is ample time to make redistricting reform a reality well before the next census in 2020. We should continue to build on the momentum of this year’s campaign, and ensure that this gets done in the next election cycle. Our nation is at a critical crossroads with our veterans. We can follow the post-Vietnam approach and turn our backs on those who fought an unpopular war, yet who were forever affected by that conflict and by their homecoming. The Vietnam approach led to soldiers’ shame, disaffection with society, and to the startling and unacceptable fact that some 25% of those homeless in America today are Vietnam veterans. Or we can take a different road – we can welcome our military people back to our communities with gratitude and with essential help re-integrating into their communities where they can be invaluable assets. I have been asked many times where the responsibility of the government (which sent young men and women into harm’s way) ends and our collective community responsibility begins. This is a very good question, but veterans are not different from others in our communities we help with jobs, education, healthcare, and housing. Communities already work to help those most in need, and veterans are our neighbors too. Veterans need jobs when they come home. They have unique wounds – some physical and some invisible such as post traumatic stress and traumatic brain injury. Also, more warriors have families than in previous conflicts, and multiple and lengthy deployments have put enormous pressure on spouses, children and the family unit. It is not only the warriors who serve; their families serve also. A growing number of foundations and corporations are committed to the mission of helping veterans with the difficult transition from military to civilian life. The issue is one of national proportion and the numbers are enormous (estimates, for example, of 300,000 returning warriors with Post Traumatic Stress), but our work over the past few years has demonstrated that the solutions are delivered locally. Each community is different – some have large active-duty bases, other regions are home to Reservists and National Guard personnel – and the challenges faced by our warriors are complex. Many do not sign up for their benefits when they leave military life. Many try to sign up but are frustrated by the complexities of the bureaucracy. Many are too far from VA offices and services. We need to employ peer-to-peer support and mentoring models that work with each veteran, building their trust and providing ongoing support and advice as each navigates a new world outside of the military. The challenges of vets are interconnected and cannot be dealt with in silos. For example, having meaningful employment and supporting the family are essential in ongoing mental health. We need to look at the “whole” vet and wrap them in the systems and support that make their transition successful. In order to reach the large number of returning veterans, we need a collaborative and coherent network of nonprofits providing services from health to education and jobs, to family counseling and legal issues. This network must function in concert with the Department of Veterans Affairs and the Department of Defense to provide the best results for our veterans. Regional systems that attract, engage, and help veterans can be established in every community. Many veterans have unique challenges, but they are unique people who can bring great value to our workplace and to our communities. 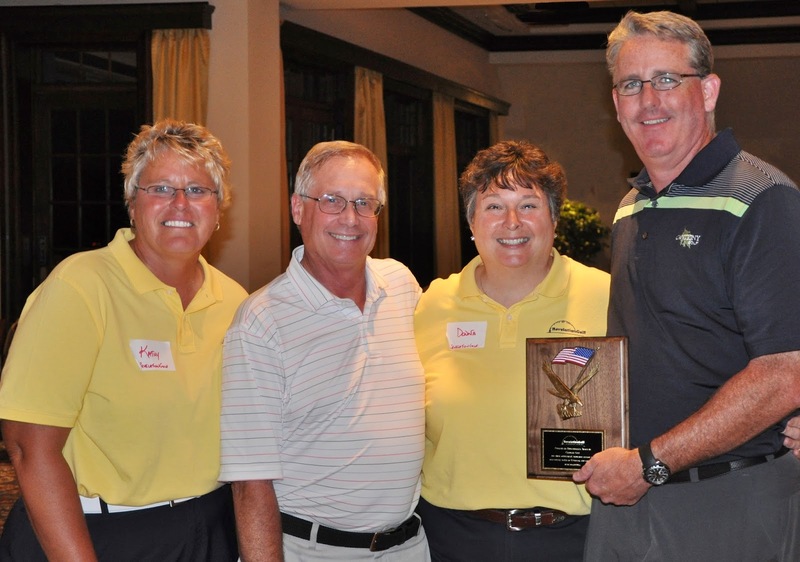 They have a commitment to service, and they will continue to serve after their military life. They have skills in organization, logistics, and teamwork that many people never develop, and they have exhibited leadership at an early age. It is in our best interest as a country that we invest in the veterans’ transition from military to civilian life so that these unique assets help our neighborhoods, our communities, and our businesses. Yes for Independent Maps recently posted a great YouTube video that uses comedy to illustrate the farce of the current methods for establishing voting districts in Illinois. Hopefully this “backroom redistricting” video can help bring greater visibility to an issue that has needed reform in the Illinois legislature for a long time. The essence of this piece shows how a small group of elected officials gathers every 10 years to draw their own voting districts, ensuring the status quo remains in effect indefinitely. The video nails just how cynical this practice is and shows a pathway to reform. There is strong, growing bipartisan support to create an independent commission to draw fair district maps within Illinois. The McCormick Foundation is supporting this important work, and I am doing so personally as well. We need to end this hidden practice that serves only politicians trying to keep themselves in office, and contributes to the polarization and grid-lock we see in Springfield. Map reform in Illinois can take this out of the hands of the politicians like many other states have done. It creates an independent commission, with open and transparent processes that will help us keep “communities of interest” intact, rather than politicians in gerrymandered districts. But to begin making these needed changes, we’ll need your active support. This ballot initiative needs 300,000 petition signatures by May 4 to get a proposed amendment to the Illinois constitution onto the November 4 ballot. I am carrying the petition form with me, collecting signatures from folks I encounter in the course of the day. We are going to face opposition from those who enjoy things the way they are. Nonetheless, I’m truly hopeful that this effort will allow us to live in a state with voting districts that look less like “toenail clippers” and “manatees,” and more like areas defined by citizens and communities. 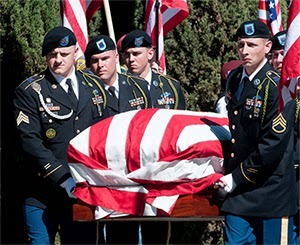 On Saturday, March 8, 2014, Staff Sergeant Walter D. Ehlers, an honorable man, soldier, mentor and Medal of Honor recipient, was laid to rest at Riverside National Cemetery near Los Angeles, CA. Among the many dignitaries who came to pay their respects were about a dozen Medal of Honor recipients. 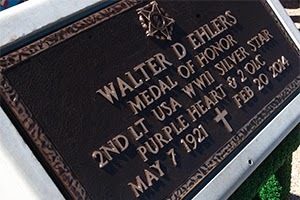 Staff Sergeant Ehlers received his Medal of Honor for conspicuous service above and beyond the call of duty on June 9 and 10, 1944, in Normandy, France, just past deadly Omaha beach, which he had crossed on D-Day, June 6. Walt was a devoted veteran of the 1st Infantry Division and a friend of our First Division Museum at Cantigny Park in Wheaton, Illinois. We owed him this final farewell. The weather was beautiful, the setting sublime, the eulogies touching, the 1st Division honor guard perfect. The day was not about the Medal but the man. Walt fought in many campaigns besides Normandy, and was wounded and decorated many times. Walt was proudest of getting his squad over Omaha beach without losing a man. His Medal was awarded in part for placing himself between the enemy and his troops. He carried one of them, wounded, to safety. After the war, his long life was exemplary – humility, faith, patriotism, devotion to family, service to fellow veterans, good humor, kindness and generosity, decency in large measure. We owe so much to men like Walt. His courage, their courage, ensured that our lives have been free of the terrible dangers of their day. We must do likewise in our day. There is no adequate “Thank you” beyond striving daily for our best ideals, to be a people, a community, and a country worthy of such service. Walt’s life was like that – living out his “Thank you” to his brother Roland, also a 1st Infantry Division soldier, who was killed in action on D-Day on that same Omaha beach. Rest in peace, Walt. Roland is proud of you, and we’ll take it from here - we promise. They include a Palestinian film maker, a Puerto Rican actor, a Venezuelan broadcast reporter, a Colombian community journalist and the long-time editor of the journal written by Chicago public housing residents. Others are reporters from Catalyst-Chicago, Austin Weekly News, Univision and WBEZ. They produce in all media forms and collectively have won an impressive array of Lisagors, Emmies and other awards for their work. 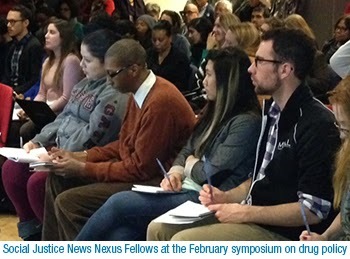 Meet the inaugural class of the Social Justice News Nexus, an experimental program launched in January by Northwestern’s Medill School of Journalism, Media, Integrated Marketing Communications with a two-year grant from the McCormick Foundation’s Journalism Program. 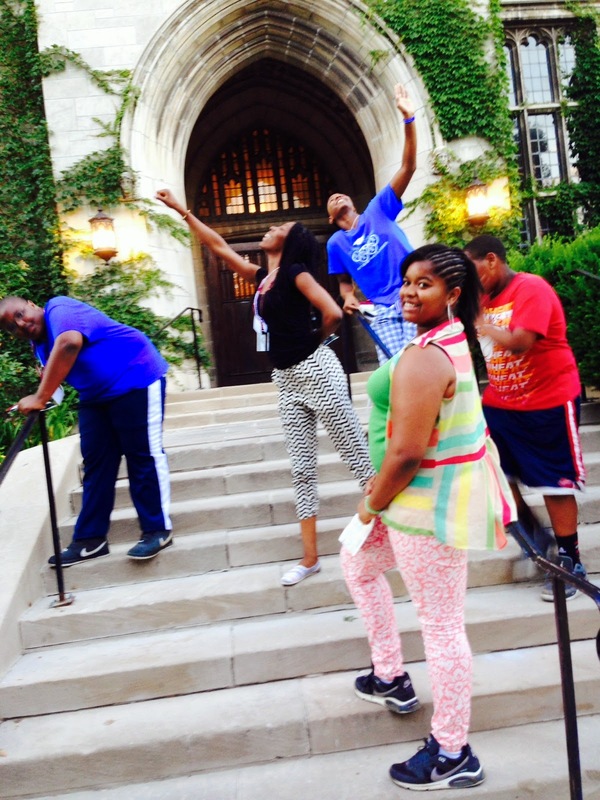 The social justice reporting fellowship is an effort to harness the talents of community reporters and Medill faculty and grad students to report collectively on critical issues facing Chicago neighborhoods. This first round includes an eager team of 14 community reporters and eight Medill grad students. They’ll report independently during the next six months and will come together frequently for skill shares, coaching, tutorials and editing. When the stories are ready to go, they’ll be published by the reporters’ respective websites and media outlets as well as on a special platform Medill is designing for the initiative. In addition, the team is exploring other avenues for public discussion of stories and perhaps even some surprises such as live events that will bring the stories into the communities they involve. Then a second round will begin with a new, related topic. Leading the initiative at Medill are Doppelt, who stepped down from his post as Medill interim associate dean to be principal investigator on this project, associate professor Louise Kiernan as student fellowship director, Kari Lydersen as community fellowship director and Winnie Wang as News Nexus coordinator. The 22 Fellows came together in late February for a two-day symposium on the topic of the program’s first round: “Rethinking the War on Drugs,” presented by the Seventh Circuit Bar Association Foundation and co-sponsored by NU’s School of Law and the Harvard Club of Chicago. The high-level symposium featured local and national experts on drug policy, and delved into the impact of mandatory sentencing, the social and economic costs of incarceration, the hemispheric drug trade and lively debate over the consequences of legalization of marijuana. Afterwards, Fellows gathered for a workshop on what they had heard and learned. 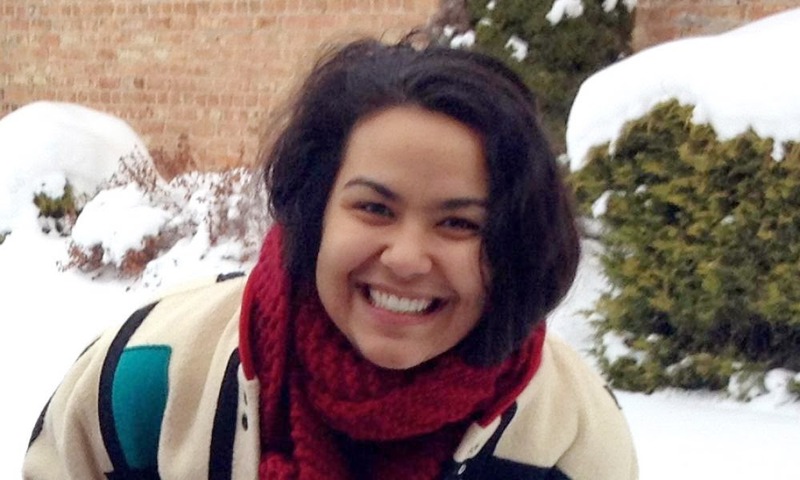 Community Fellow Adriana Cardona Maguigad, editor of The Gate, is reporting on the effectiveness of local rehab centers, active drug users in the Back of the Yards neighborhood and the illegal drug market in the New City area. “This Fellowship will help me bring to light untold stories of local residents who have been victims of an illegal industry that continues to have a strong presence in our communities,” she said. Another Community Fellow, Sam Vega of the Spanish-language daily Hoy, is excited about being part of a network of reporters but also the skills he’ll be honing. “Being part of this Fellowship will allow me to continue my growth as a multimedia producer as I tap new skills like data analysis and investigative reporting,” he said. “What surprised me was how many of our fellowship applicants had been directly affected by the first issue we are examining: drug abuse,” said Kiernan. Among the student fellows are a young man who worked as a juvenile probation officer in Los Angeles, a young woman whose family was torn apart by her father’s cocaine addiction and another whose interest in social issues was sparked by what she encountered teaching on a reservation. 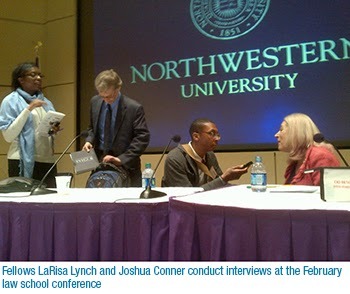 How does the Medill faculty leadership team view the term ‘social justice’ within a reporting context? Not a problem, says Doppelt. 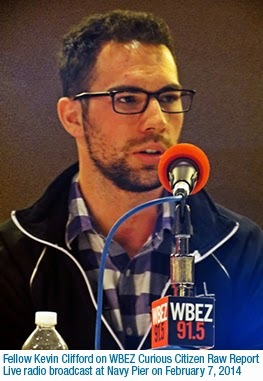 “We decided to be unabashedly affirmative about our investment in ‘social justice journalism,” he says. Doppelt defines the term as “a concerted effort to drive collective engagement and impact on issues that matter in the lives of Chicago’s communities". "It is advocacy to the extent that we advocate for a constructive and sustained airing of those issues,” he said. Stay tuned for some provocative reporting. Over the past few years, we have witnessed some of the darkest times in our nation’s history. We have heard a relentless stream of stories about layoffs, fraudulent investment schemes, broke and broken governments, and corporate bailouts and unfathomable excess. Yet one important sector that is in dire straits and is too often overlooked is the nonprofit sector—the one part of our community with the principal purpose of helping transform communities by providing access to programs and resources that improve lives. The sector is struggling, not because of greed or mismanagement, but because each nonprofit organization depends upon a uniquely American culture of generosity and of helping others. Unfortunately, charitable giving is often the first thing to be scaled back in households, foundations, and corporations that must tighten their belts in tough times, and it is often the last thing to rebound as the economy improves. As our economy struggles to rebound and government agencies are short on resources, the demands on the social services continue to skyrocket. Nonprofits are essential to our country’s recovery. They supply goods and services to those least fortunate. They are the keepers of our country’s history and our society’s creativity, and they are a vital part of lifelong learning and formal education. Just imagine your community without a human services safety net, without culture and the arts, and without nonprofits in education and healthcare. So as nonprofits suffer, we all suffer. When nonprofits are forced to scale back their operations, it is not just a few more widgets that don’t reach the market. It is the host of basic needs of our own neighbors that go unmet. It means fewer meals dispersed at food banks; fewer beds in shelters; fewer hours for wonder and discovery in our museums; fewer mentors for our troubled youth; and fewer safe havens for kids to play. This is happening at a time when the number of people in need is growing at an alarming rate. All together the nonprofit community accounts for about 6 percent of the nation’s GNP and represents more than 10 percent of the country’s workforce. This is a vital economic engine as well as the essential lifeline for many people and link to our heritage. Another way to look at it is that if the nonprofit community were its own country, its economy would rank 13th in the world! This is a wakeup call for all of us. As the economy slowly improves and the plight of our most disadvantaged neighbors is pushed ever farther off the front page, we must not forget about the local nonprofit organizations in our communities and what they do for our society. For those of us who can help, we must not let the “out of sight out of mind” mentality takeover. And for those who cannot yet help, perhaps when things improve you will quickly jump back on the American tradition of reaching out to your fellow neighbors most in need. Chicago elections are famous for the slogan, "Vote early and vote often." However, Illinois voters rarely live up to this adage. Turnout for national and state elections fall below national averages, and youth voting in local elections is abysmal, ranking 47 among 50 states and the District of Columbia. Next month, Chicago Public Schools (CPS), in partnership with the Board of Elections, the McCormick Foundation, and a coalition of other civic organizations, is seeking to reverse this disturbing statistic. During "Democracy Week," scheduled for February 3-7, CPS and its partners plan to orchestrate a massive voter registration drive among high school students in an effort to capitalize on "Suffrage at 17" legislation passed last year. The new law enables 17-year olds to vote in the March 18 Primary so long as they will be age 18 by Election Day in November. CPS has approximately 35,000 students in its nearly 150 high schools that are eligible to vote in March, and the "Democracy Week" coalition hopes to register at least 25,000 of them by the February 18 deadline. CPS CEO Barbara Byrd-Bennett urges high school principals to celebrate "Democracy Week" by providing a central location for voter registration, making time for students to register and encouraging teachers to educate students about 2014 candidates, prevailing issues, and the electoral process. The "Democracy Week" coalition is supporting schools, principals, and teachers in a myriad of ways, all of which are free-of-charge. Two of the organizations, the Constitutional Rights Foundation Chicago and the Mikva Challenge, have designed a six-lesson voter education curriculum package for teachers to use in their classrooms. The Board of Elections has created voter registration posters for display at schools along with a robust website with more information about "Suffrage at 17." Finally, the Mikva Challenge is engaging students in local campaign work and also training them to serve as election judges. 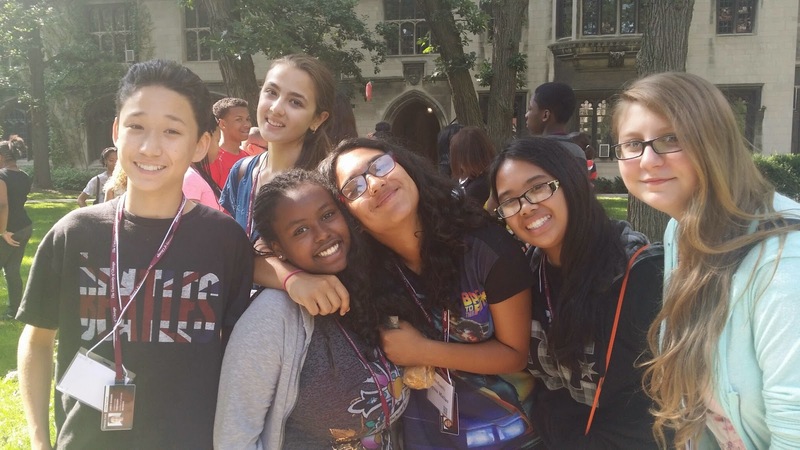 Collectively, "Democracy Week" takes the "vote early" segment of the Chicago slogan literally with the assumption that these pioneering high school students will "vote often" as lifelong participants in our democracy. Growing up and spending most of my adult life in Chicago, I was very familiar with the McCormick Foundation, probably due to my interest in local philanthropy at a young age. But now that I have the great fortune of working for this legendary organization, I’ve been able to hear about the rich life of our benefactor, Robert R. McCormick, and gain a better understanding of his contributions to our area – some monumental and others cultural. For instance, it was McCormick who coined the term “Chicagoland,” with historians tracing its first use back to 1926. McCormick led the effort to expand Chicago north of the Chicago River along Michigan Avenue. In 1918, the Chicago Tribune created an editorial platform raising attention about important civic improvement issues. His “Extend the Chicago Plan” was built off of Daniel Burnham’s city plan and promoted completing Michigan Avenue and building the Michigan Avenue Bridge. Naming Chicago’s airport “O’Hare Field” was McCormick’s idea. An outspoken advocate for honoring the sacrifices of America’s veterans, McCormick spoke at the 1949 dedication that memorialized Naval Lt. Commander Edward H. “Butch” O’Hare, the Navy’s first flying ace of the 1940s. While most of his fame came from his work as editor and publisher of the Chicago Tribune, McCormick was a prolific writer, authoring books on topics ranging from the Civil War to our First Amendment freedoms. When most people hear McCormick, their thoughts may immediately veer towards Chicago’s McCormick Place. It was posthumously named in his honor as he was as a major proponent of bringing more conventions to Chicago. But his legacy has influenced countless schools, communities and lives locally, regionally, nationally and internationally. As Director of Communications of the McCormick Foundation, it’s my intent to bring more of these stories to life and share how, even today, his influence to strengthen communities can be experienced in our everyday lives.